I don’t know about your weather but it is freezing here and so are my feet lol! As the heat goes on more and we go in and out of the cold to a dry heat in the house/work and our faces are getting battered with all sorts of weather I would like to recommend this Bio-Extracts Post Summer Skin Set from QVC. Bio-Extracts are just over a year old now and way ahead in their technologies. It is science meets power plant extracts bring you high powered skin boosters delivered by Phospholipids to create Skin Boosters 5 times more powerful than regular serums, to me they are like a vitamin shot for skin that skin drinks straight up. They are a vegan brand, but you do not have to be vegan to use this or see and feel the skin benefits from pure plant goodness. But these formulas are so highly scientific and gentle your skin will really benefit from cutting out the chemicals and using clean, green sls and paraben free beauty. Bio-extracts has put the attitude into Vegan skincare with their cosmeceutical approach to plant powered skincare! 1 x Bio Extracts Moisturiser (30ml) – in a choice of Light, Normal or Rich. Improves hydration and helps protect skin from external irritants, by helping to reinforce the skin’s own natural barrier. 1 x Bio Extracts HA Hydro Boost (10ml) – forms a protective film on the skin and gives intensive hydration. Contains botanical hyaluronic acid. One of the very first vegan hyaluronic acid’s ever, this really is a shot of pure hydration. 1 x Bio Extracts Anti-Wrinkle Boost (10ml) – helps to refine the appearance of fine lines and wrinkles caused by intrinsic and extrinsic ageing. Perfect for this time of year when the days are grey and we all start finding faults in the mirror! Great for around the eye area, cheekbones, neck and anywhere you feel needs treated, lips including! 1 x Bio Extracts Anti-Oxidant Boost (10ml) – super concentrated serum which helps to defend your skin against aggressive free radicals from pollution. This is the perfect answer to skin that is getting challenged in winter weather. It protects the skin from environmental factors. It is a potent mix of minerals, vitamins and flavonoids. It not only protects your skin it also strengthens and revitalizes grey tired skin. This fabulous set worth £86.50 is on offer at £39.98 QVC, there is no better time to try than at this price for 3 powerful Skin Boosters and your full size face cream to see you through the winter! This entry was posted in Health & Beauty, Health and Beauty and tagged Anti Aging, Anti-Oxidant Boost, Anti-wrinkle Boost, BIO-EXTRACTS, clean, Comfort, green, green beauty, Hyaluronic Acid, Hydro boost, minerals, Moisturiser, multi lamellar system, paraben free, Peptides, Phospholipids, Plant actives, Plant Power, Post Summer Skin Offer, QVC, science meets vegan skincare, Silicone free, Skin Boosters, Vegan, vitamins on February 9, 2018 by the40somethingbeautyblogger. I have been an avid fan of the Beauty Box World for many years, from my very first box by Feel Unique, which I loved. To me it was still the best ever, as it brought me so much fantastic skincare that I wanted to try and it wowed me. But looking back and on their Facebook page, they got such grief about it. If they put skincare in, young girls were yelling at them as they didn’t want or need it and if they put too much makeup in older people were asking for more skincare! So the surprise beauty box came to an abrupt end! I think Glossybox, which to me is geared at teenagers I always found poor . Love Lula do a good organic box , but cost comes into play with organic and it tends to be bulked up with lip balms and hand creams which a years later I am still finding about the place! Both still do a surprise box but for most companies the grief they got every month was just too much! I wouldn’t fancy working in the Glossybox complaints department .. just sayin! So now what we mostly have is a choice. 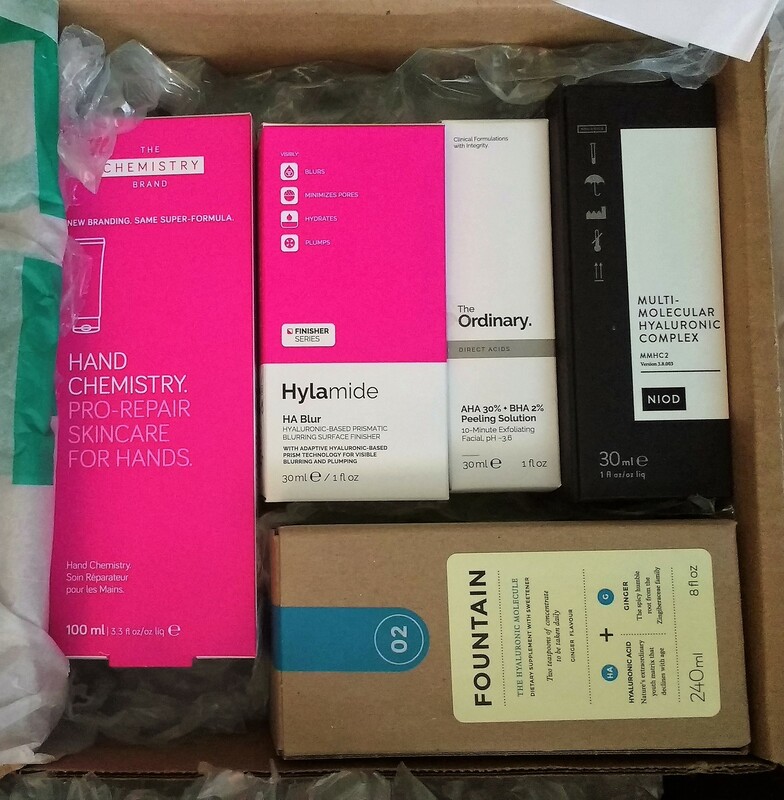 Every month boxes like Latest In Beauty, You Beauty, offer a subscription after a recent re-vamp. It had gotten very stagnant with not many new samples being available or that is how it felt to me. I hope they can keep the flow and not keep putting items from the monthly selection items into their Limited Edition Boxes ggrrr!! For me I don’t buy a beauty box to get the same products over and over again, I buy it because there is something in there I really want to try. There is an ocean of products out there, please let us have them. Love Me Beauty won funding on the Dragons Den recently and they have also struck a deal with Debenhams so hopefully some fresh samples coming there. Look Fantastic does a Box now too but it has never appealed to me…yet. QVC Tili box – first 2 boxes were utterly fabulous, 3rd box was a big let down. Really hope they pick it up again as it is their way of reeling in the youth to their company and what they can do. When beauty boxes get big, they tend to lose out on samples from smaller niche brands and I wish this wasn’t so, as these are the things I love to try. Organic products too lose out as they can just be too expensive to put into a beauty box. Balance is needed but everywhere I look I am not being thrilled by what I see. Am I being more fussy now or does the whole beauty box world need a serious overhaul? Somewhere in our demand to now choose the samples ourselves, I think there is now a bottleneck with items we have all had before, clogging up the selection. I can see how that is bad for both customer and company alike, but how do they solve the problem? I just want some new things to be wooed by! So in all my thinking about this and a conversation with Sandra @ Beauty Balm Blog about beauty boxes ..I think we need a 40+ box with targeted skincare and makeup products to try. The samples are out there, so surely companies would be jumping at the market? I must mention the one box that is really working for me right now and that is the Perfume Society Box. There is such a wealth of information that comes with this box: It is a journey into fragrance that I would not or could never have taken, if not for these boxes. It comes beautifully packaged and is always full of new exciting fragrances from top fragrance houses, with some smaller niche perfume brands in the mix to try as well. They have the mix just right. 40+ customers have the most money to spend on beauty and if they like the products and see results they won’t be scared to really invest in that full size product if it works for them! I am bored, bored, bored with what I am seeing, surely there is some exciting upcoming brands out there that need introduced to people? Or international brands wanting to break into the UK? I don’t want to look at a monthly selection and see same, same, same … yawn! Some of the earlier beauty boxes were amazing, I would love to see a real return to this too. Yours .. beauty boxed out ..
Disclaimer: I am not paid for any of my blog posts and all my thoughts are entirely my own! 99.9% of the products I review are my own and I have bought myself. This entry was posted in Beauty, Health and Beauty and tagged Beauty Boxes, Birchbox, Feel Unique, Glossybox, Latest in Beauty, Look Fantastic, Love Me Beauty, Lovelula, QVC, Tili Box, You Beauty on March 4, 2017 by the40somethingbeautyblogger.